Report in the section INNOVATORS from El Mundo, one of the top Spanish newspapers. 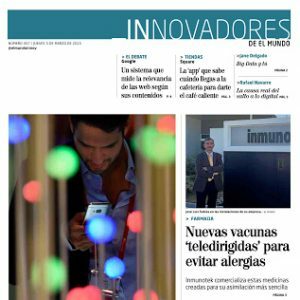 The report highlights the new generation of vaccines targeting dendritic cells developed by INMUNOTEK SL in an interview with the CEO-President of INMUNOTEK Dr. Jose Luis Subiza. Read the article (in Spanish) by clicking on the image.